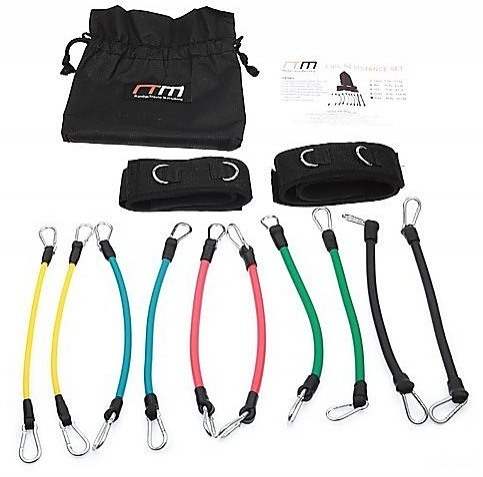 An amazing alternative to weights, this set of 13 Kinetic Fitness Leg Exercise Bands will work every part of your legs, from thighs to calves, with varying levels of color coded resistance, you can mix and match to get the perfect workout made just for you! Made from a highly durable latex material with stainless steal carabiner hooks, these bands are made to last, whether you're a seasoned athlete or just starting out. 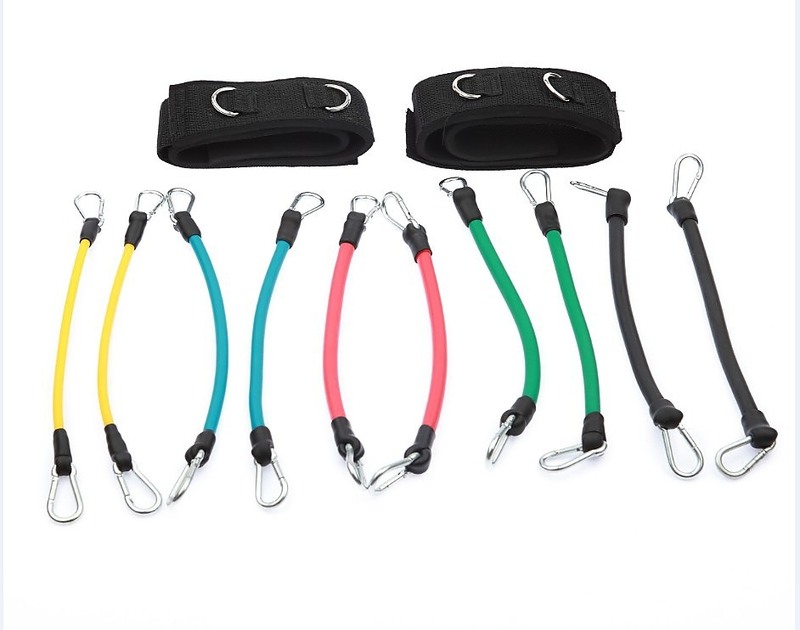 Ranging from extra light yellow to extra heavy black, there's definitely something for everyone in this set that also comes with two high quality padded leg straps, and a waterproof travel pouch for carrying the entire set on the go.